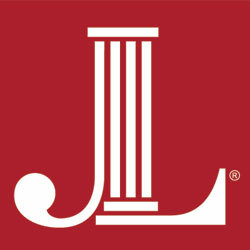 The Junior League of Austin is excited to announce more details for the third annual Austin Entertains on February 28, 2019. Many talented chefs will be returning including Callie Speer (Holy Roller), Amanda Turner (Juniper), Bonnie Wright (Olamaie), Hannah Yerby (Guild), Trish Eichelberger and Alex Sanguinetti (Alamo Drafthouse), Cheyne Maclaskey (Dimebox Ballroom), Mary Catherine Curren (Irene’s/ELM Group), Amanda Pallagi (Four Seasons Hotel). Mixologist, Erin Ashford (Olamaie), will be coming back as well. Joining the lineup this year are chefs Sarah Heard (Foreign & Domestic), Stephanie Garcia and Janie Ramirez (Dai Due Taqueria) and Arian Quant, (Uchiko and Hai Hospitality). Ticket-holders can also expect to see more sweet treats and drinks from Dulce Vida tequila, Caffe del Fuego, Elevate Bartending, Fancy Fluff and Desert Door.